We do not accept or receive funding, services or goods from any industry or lobby group. The Network is run as a free service whose costs have been met for the past 25 years from the sale of Sue Dengate's books and by giving talks. This revolutionary book contains hundreds of new and improved recipes for all kinds of occasions. Look inside in one click. This is a book which transforms families, see readers' stories. 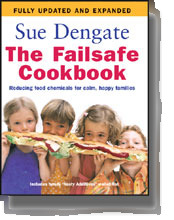 The Failsafe Cookbook, first launched September 2001 and revised and expanded in 2007 - contains detailed information and hundreds of new and improved recipes. This revolutionary Failsafe Cookbook is an essential tool for parents wanting a calmer, happier - and healthier - family. Read this one if you know you want to do the diet and are too busy to read much. ...see the book introduction below and check out the extensive support (facebook group and free newsletters) on www.fedup.com.au. 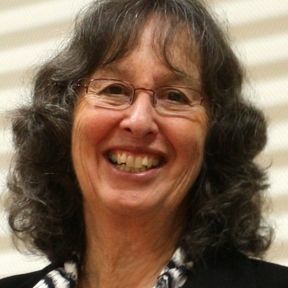 Sue Dengate's bestseller Fed Up opened the eyes of thousands of desperate parents to the adverse effects of synthetic additives and natural chemicals in foods. Based on groundbreaking research, Fed Up showed that learning difficulties, behavioural problems and minor chronic illnesses in children and adults can all be the result of intolerances to food chemicals. Now, in this comprehensive Failsafe Cookbook, Sue has written and compiled hundreds of new and improved recipes for all kinds of occasions, as well as detailed information about the science of food intolerance and low chemical elimination diets. You can buy Sue Dengate's books and DVD online here. The Failsafe Cookbook is $A34.50 including GST, post & packing (RRP $34.95). Sue Dengate's books are usually available from all bookstores in Australia and New Zealand and online for both local and overseas purchasers. The DVD is available through this website and as shown below. UK You can order Fed Up, The Failsafe Cookbook and the DVD Fed Up with Children's Behaviour from the Orchard Bookshop at 347b, Wakefield Rd Denby Dale, Huddersfield West Yorkshire HD8 8RT Tel: 01484 866413 www.orchardbookshop.co.uk. Check out www.amazon.co.uk as well. What we eat has changed dramatically over the last 30 years, and so have our children. Behaviour and learning problems, asthma, depression, youth suicide and teenage violent crime are all increasing. Many parents find that raising children is not the joyful experience they were expecting, and I was one of them. When my first baby was born, my life revolved around trying to get an unsettled baby to sleep. Then she grew into the terrible twos and never grew out. On good days she was charming, adorable and clever, but on her frequent bad days she was demanding, dissatisfied, grouchy, easily annoyed, argumentative, defiant, took hours to get to sleep and woke frequently. We had expected her to do well at school but she struggled with schoolwork. For 11 years I did the rounds of doctors, baby-health nurses, psychologists, teachers, school counsellors, alternative practitioners, tutors, physiotherapists, dietitians and many more. I was told I was a bad mother; to use better behaviour management; to pour myself a stiff gin; to learn to live with it; that I needed medication; that she needed medication. After years of sleep deprivation, my marriage was at breaking point, and so was my sanity. Of all the remedies we were offered, most helped a little. We tried various diets, for six years avoiding additives, sugar and dairy foods, but it wasn't until she did a 24-hour water-only fast in hospital at the age of 11 that I finally saw the daughter I'd always wanted. Under our eyes she became settled, calm, polite, interesting, intelligent and fun to be with. 'That's the child I want!' I said. Our paediatrician finally believed that her problems were food-related, and we started a three-week trial of a low salicylate diet. The Food Intolerance Network consists of over 14,000 families, mostly in Australia and New Zealand but with members in USA, UK, EU, Canada and several other countries. A grateful member just summarised what we do as 'helping families and taking corporations to task'. We'd say that's exactly what we do. ‘No parent should have to go through what we went through’ I said when I wrote my first book, a surprise best-seller that continues today to help many thousands of families to understand and deal with food intolerance.